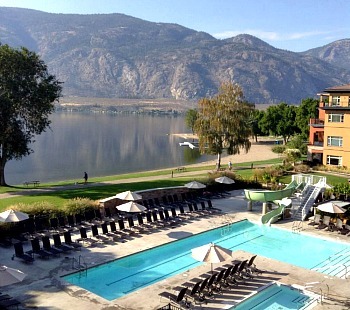 This page of weekend getaways in British Columbia's beautiful Okanagan features Kelowna, Penticton and Osoyoos. For many traveling couples from BC, Alberta and the Pacific Northwest, this attractive strip of vineyards and orchards along the lakes are the perfect spot for a romantic getaway in Western Canada. The Best Time for Romantic BC Getaways: From June to September, the sun shines, the water's warm, and the orchards are bursting with fruit. Summer getaways in the BC interior are also the best time to explore fun little Okanagan communities, usually surrounded by a handful of small, friendly wineries anxious to have you sample the best of their vineyards. Osoyoos, BC - Only 5 minutes from the Canada/USA border, this desert-like town along the lake is pretty much surrounded by vineyards, and is another great spot for a hot & sunny getaway in British Columbia. 1. Okanagan Winery Tours - the number of wineries in Kelowna & the Okanagan valley has grown by leaps and bounds in recent years. 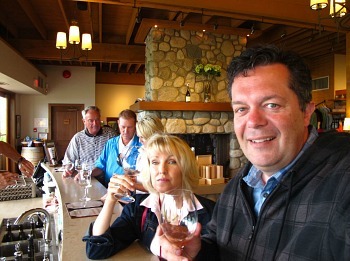 One experience that really stood out was the tasting and bistro lunch we enjoyed at the Summerhill Winery in Kelowna. We found a very nice bottle of Gewurztraminer, and a fantastic lunch on the patio with a million-dollar view of Lake Okanagan! 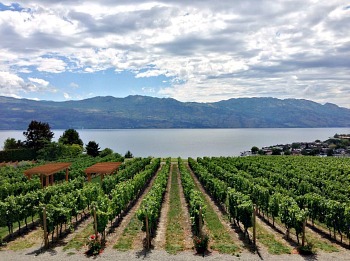 Okanagan wineries also take part in several wine festivals throughout the seasons which showcase wine tasting, culinary displays and live performances of music and theatre. 2. 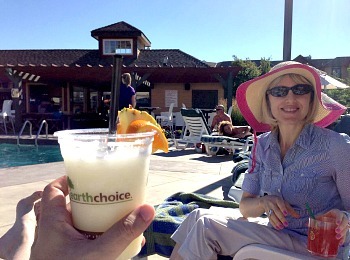 Sun & Fun at the Best Okanagan Beaches - there's a good supply of sandy and relaxing waterfront areas in the Okanagan. 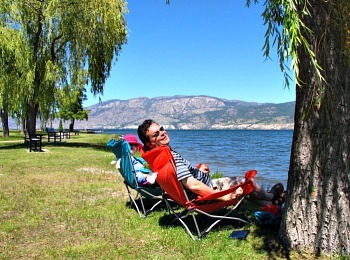 A couple of Okanagan beaches we really enjoyed were Skaha Lake in Penticton and Gyro Park in Kelowna. 5. Scenic Drives - south of Oliver, BC, highway 97 winds through a glorious region of fruit trees, vineyards and valleys. The Similkameen Valley is especially scenic, and you can easily loop back to Penticton through Keremeos, BC. Other fun things to do on romantic BC getaways: water slides, mini-golf, and all kinds of water activities like boating, water skiing, and para sailing. 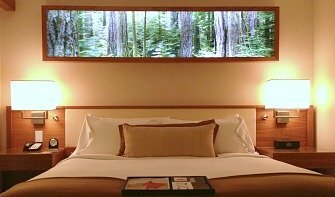 Romantic Getaways in Vancouver BC - sights, sounds, romantic hotels and more in Western Canada's largest city. 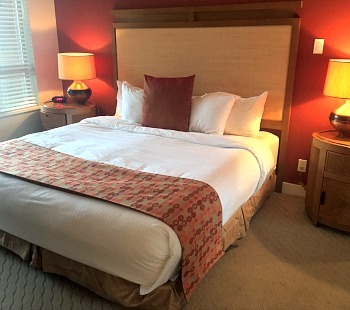 Victoria BC Romantic Getaways - great ideas for couples on where to stay and what to do in fantastic Victoria, BC. 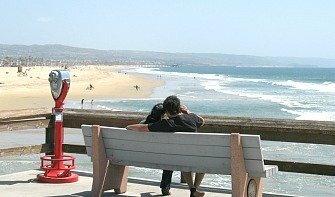 Romantic Vacations on Vancouver Island - storm watching getaways, resorts by the sea, and some of the best scenic spots for your next escape to "The Island". 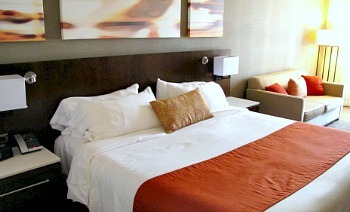 Planning a weeding or honeymoon in Kelowna, Penticton or another part of the Okanagan? 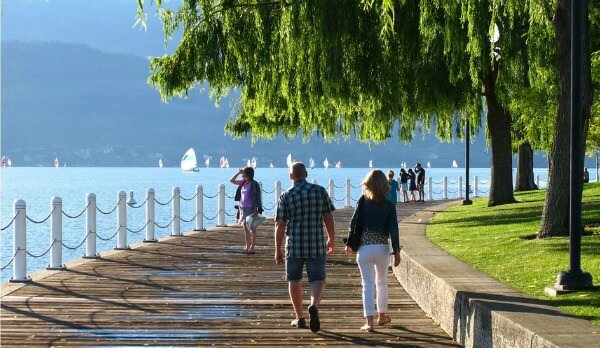 The Hopeless Romantic BC Getaways & Romance Packages - for 2017, there's no less than 6 different romantic packages to choose from at this Kelowna B&B! 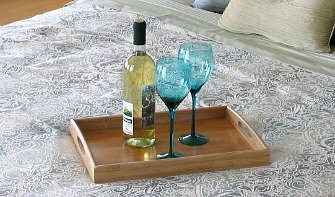 Custom made for anniversary vacations, honeymoons and weekend getaways to the BC Interior, and priced as inexpensive add-ons from $99 to $149. 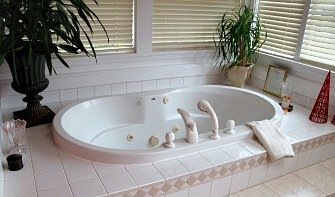 Kelowna BC Honeymoon Packages - A Vista Villa in Kelowna can make your wedding, anniversary or elopement in BC something special. 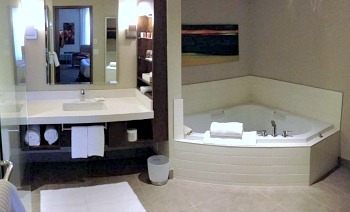 Check into one of their in-room Jacuzzi® Suites, and enjoy evenings from their panoramic lake- view dining terrace. There are direct flights to Kelowna from Vancouver, Edmonton, Calgary and Toronto, Ontario (as well as from a few smaller cities in Western Canada). Penticton has scheduled flights from Vancouver only. You can fly to the Okanagan on Air Canada and WestJet - they both have cheap flights to Kelowna from Calgary, Edmonton and Vancouver. Distance from Vancouver to Kelowna: 500 km (312 miles), driving time 4.5 hours. Distance from Edmonton to Kelowna: 895 km (559 miles), driving time 8 hours. Distance from Calgary to Kelowna: 600 km (374 miles), driving time 5.5 hours. Distance from Banff to Kelowna: 475 km (296 miles), driving time 4 hours. Distance from Toronto to Kelowna: 2775 km (1725 miles), flying time 4 hours.